Let Us Be a Part of Your Recovery Team. A Purpose Statement communicates WHY we do what we do. It is our reason for existence. It reflects our foundational inspiration and motivation. We are committed to supporting and serving Veterans and their loved ones. 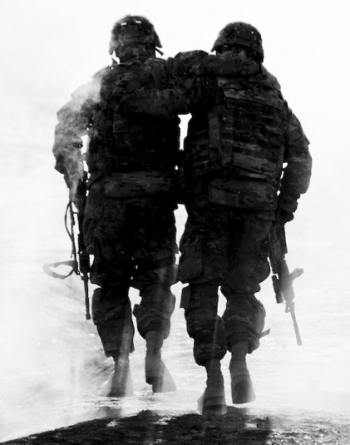 We are dedicated to providing the highest caliber of clinical and non-clinical services to the Veteran Community. Our purpose is to “Support the Warrior” (Bellator Sustineat)! A Mission Statement communicates WHAT we choose to pursue as a result of our purpose. It includes both our current operations and highlights our future plans for reaching the Veteran Community. Our Veterans Services are available for any individual who has ever been in the U.S. Armed Services (active, reserves, national guard) regardless of branch, time served, or character of discharge. Immediate family members (spouses, children, parents, siblings, and cohabitating significant others) of service member are eligible, regardless of age. Call today and ask to speak to either Lora Daniel or Megan Cerney, our Veteran Case Managers. They will link you with services based upon the specific needs of you or your family. You can reach Lora by calling 325-812-4612 or email at lorad@wtcg.us. Megan can be reached by calling 325-315-0272 or by email at meganc@wtcg.us. Services offered by Veterans Outreach Services of West Texas Counseling & Guidance include veteran peer support, veteran benefits coordination, case management, support groups, individual therapy, couples counseling, family counseling, CPT for trauma, play therapy for children, and anger management. WTCGVS also hosts the MVPN program for the Concho Valley.